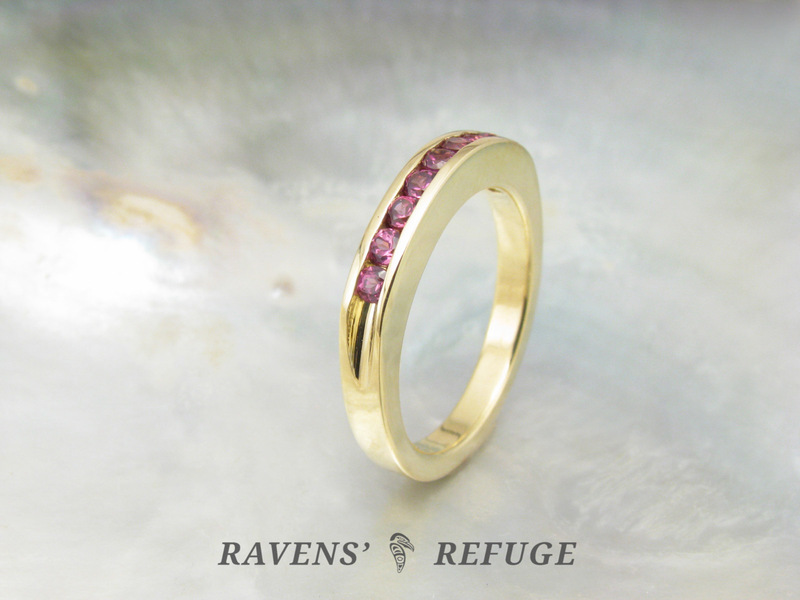 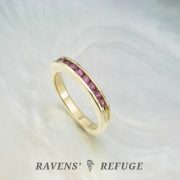 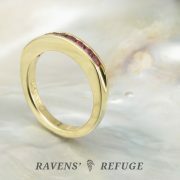 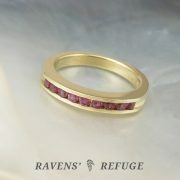 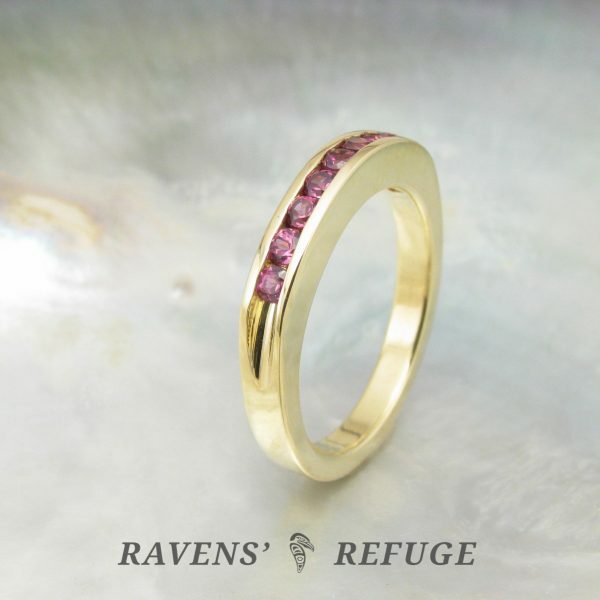 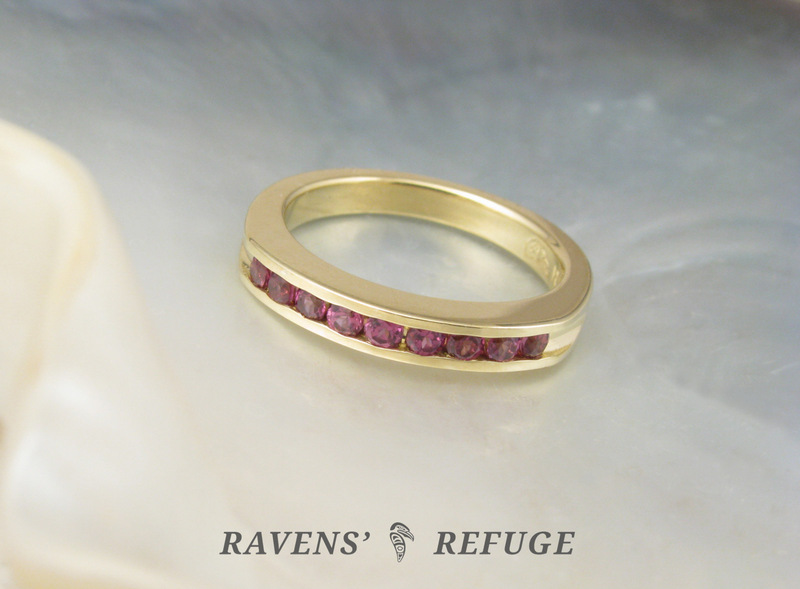 This lovely ring features nine 2mm rhodolite garnets, channel set in 18k yellow gold. 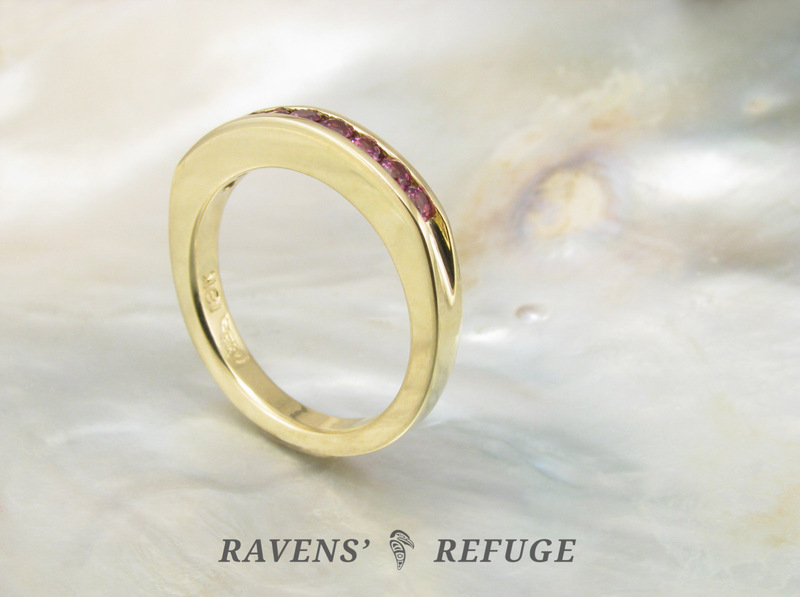 Channel setting is one of Dan’s specialties, and he has given this ring an elegant profile by gently squaring the edges of the channel. 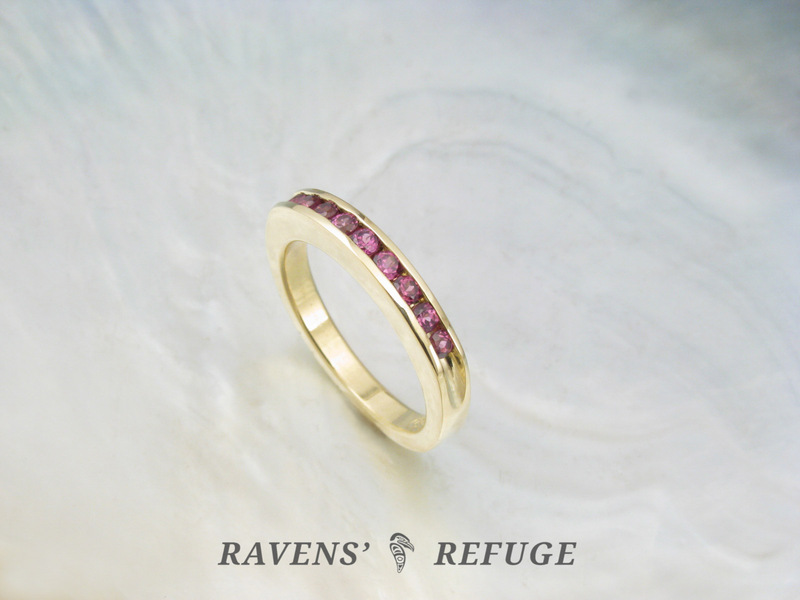 Rhodolite garnets have a unique reddish-pink hue, paired wonderfully with glowing 18k yellow gold. 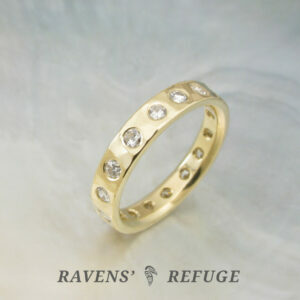 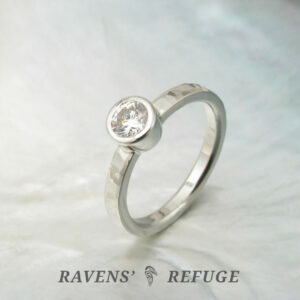 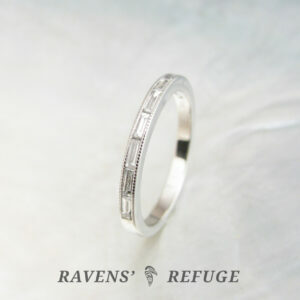 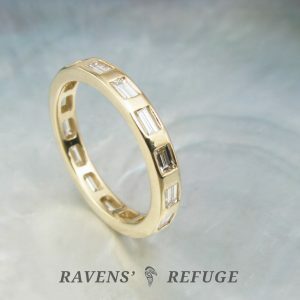 This ring is as perfect worn alone as it is stacked with other rings.